The third of the posters that Lee Wybranski created for the three 2008 USGA Open championships. 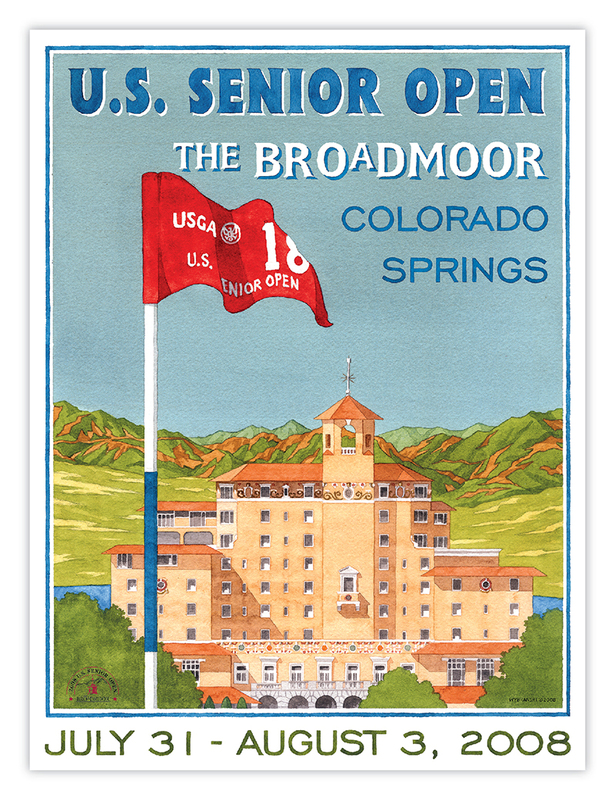 The Broadmoor Hotel and Resort was the venue for the event, and the artwork celebrates the Art Deco hotel against the rugged backdrop of the Rocky Mountains. The bold championship flag in the foreground puts golf front and center.